Building a house can change you. It sure changed me, Annika! In 2011 we built our beautiful swedish house – in a small village in southern Germany. Back then „we“ ment: Me, my husband F and our daugther R (now 5 years old). In between our son J (now 2 years old) joined our family. When thinking about our new house, I wanted to make it really cozy and nice inside. However, looking at many, many pages on the internet, going from one blog to the other, I found something that I really wasn’t even looking for. I found cool kids clothes! Sewn by women of my age. No boring hand sewing as I had learned it in school, but real fun and fashionable clothes. I was hooked! Fast forward 4 years and sewing has become a big part of my life. I started of with a cheap discounter sewing machine that I got for my 30th birthday. As I hadn’t been very interested in crafting, DIY or so before, my family didn’t really believe that I would continue to sew. Well they were wrong. Sewing has become my biggest passion. I think pretty much all the time about what I want to sew, how to sew it, fabrics etc. I started with kids clothes, but more and more am also sewing clothes for myself, which due to the whole curvy body thing is another cup of tea. 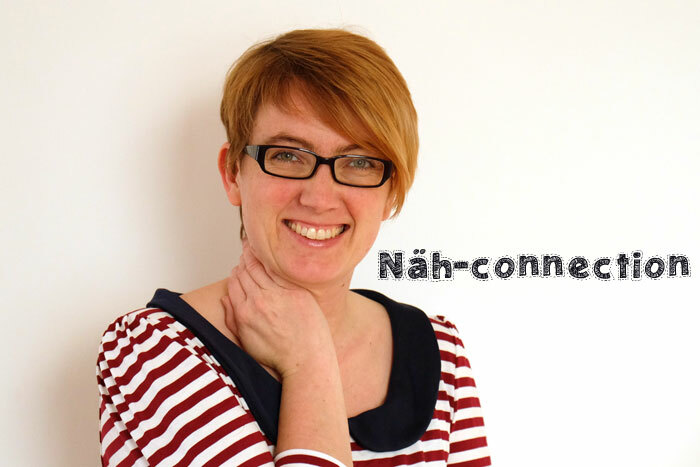 I started this blog in September 2013 not only to document my own sewing (german: Nähen), but also to try and connect with bloggers from all over the world (hence the connection in the blog name). More or less recently I do my so-called weekend sewing posts in which I collect some of my favorite posts, tutorials, free patterns, sew alongs etc. of the last weeks with which I hope to make you aware of some bloggers that might not speak your language, but sure share your passion!